Atrial fibrillation, also known as AFib, is the most common type of arrhythmia, which are complications with the speed or rhythm of the heartbeat. This condition is caused by abnormal electrical signals that generate chaotically throughout the upper chambers of the heart or the atria. The damage to the heart’s electrical system is most often a result of other conditions that affect the health of the heart, such as high blood pressure and coronary heart disease. Moreover, inflammation is also believed to play a role in the development of atrial fibrillation. The risk of developing atrial fibrillation becomes greater as a person gets older. Other risk factors for atrial fibrillation include hyperthyroidism, obesity, diabetes, and lung disease. In some people, drinking high amounts of alcohol, caffeine, or psychological stress may also trigger atrial fibrillation. According to an entry published on the website MedlinePlus.gov, a person with atrial fibrillation may experience palpitations or an abnormally fast heartbeat, shortness of breath, weakness or difficulty in exercising, pain in the chest, dizziness or fainting, fatigue, or confusion. However, some people may not even feel or notice these symptoms. This condition may result to a greater risk of stroke, heart attack, or heart failure. When a person has atrial fibrillation, the contractions of the two upper chambers of the heart are not in sync with the contractions of the two lower chambers. 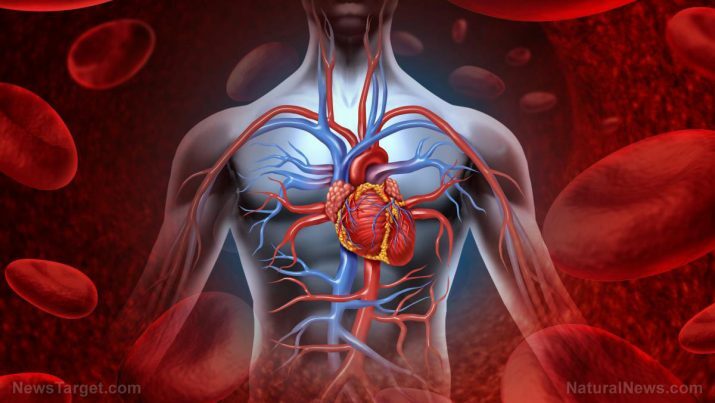 The body system that is mostly affected by atrial fibrillation is the cardiovascular system. According to an entry published on the website EverydayHealth.com, the unsaturated fats in fish can lower the risk for heart disease as well as protect the heart from abnormal heartbeats. Moreover, eating at least five servings fruits and vegetables that provide the most nutrition, fiber, minerals, and vitamins a day can support heart health and prevent complications like atrial fibrillation. In addition, eating a total of six servings of whole grains, such as oatmeal or kasha, each day can protect the heart. On the other hand, the consumption of salt, meat, dairy, high-cholesterol foods, oily foods, alcohol, and caffeine must be limited or avoided. There are several treatments for atrial fibrillation. Atrial fibrillation can be treated with medicines, but these may induce side effects. An electrical cardioversion can also be an option for treating atrial fibrillation if medications are not effective or are producing too many side effects. Another option is catheter ablation, in which a narrow catheter is threaded through a blood vessel into the heart. The catheter makes use of radiofrequency energy to eliminate a small number of tissue cells in the heart the send out signals that cause the abnormal heart rhythm. A pacemaker may be needed if the heart rhythm does not go back to normal through medicines. It is an electronic device that regulates the heart rhythm. It is put in the chest area during a surgical procedure. When medications and other treatments are ineffective, a final treatment called the Maze procedure may be done. To help reduce the risk of atrial fibrillation risks, lifestyle changes are essential, such as quitting smoking and limiting alcohol and caffeine consumption. Atrial fibrillation or AFib is the most common type of arrhythmia. Atrial fibrillation may cause palpitations, breath shortness, weakness or difficulty in exercising, chest pain, dizziness or fainting, fatigue, or confusion. Atrial fibrillation may lead to stroke, heart attack, or heart failure. Atrial fibrillation may be prevented by eating fish, fruits and vegetables, and whole grains.